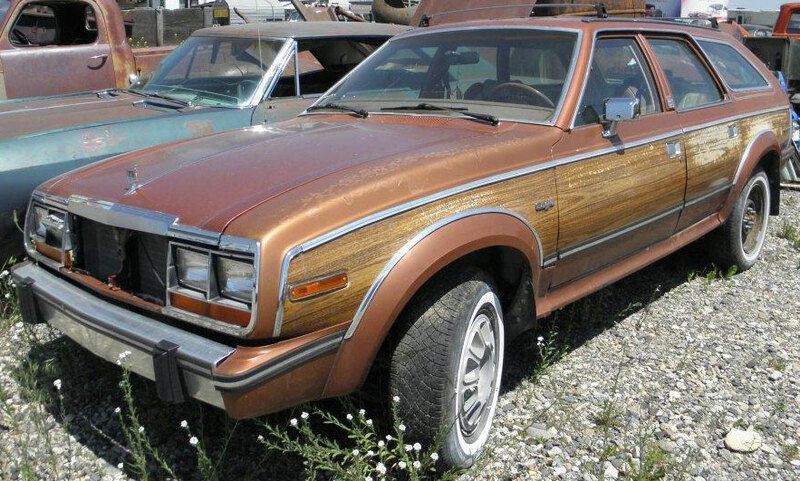 This Florentine gold 1984 AMC Eagle 4 door 4X4 station wagon is a mostly complete classic wagon ready to be restored or customized. The body has solid and dry western desert sheet metal. The body is very straight except for a couple minor dents here and there. The windshield is cracked. The grill is off and inside the car. The inner right headlight trim is gone and the bulb is loose. The wood grain side panels are deteriorating. 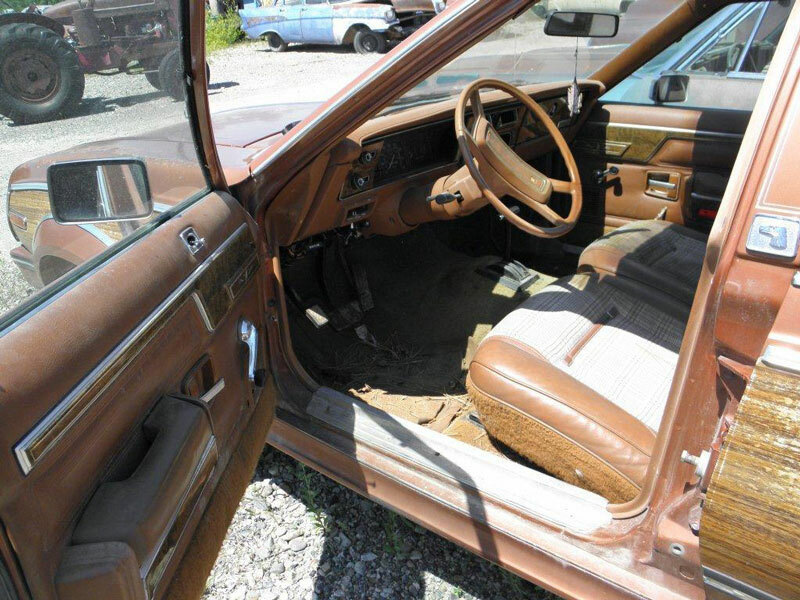 The tan interior is all there. The gauges and dash are all there. The floors are solid. 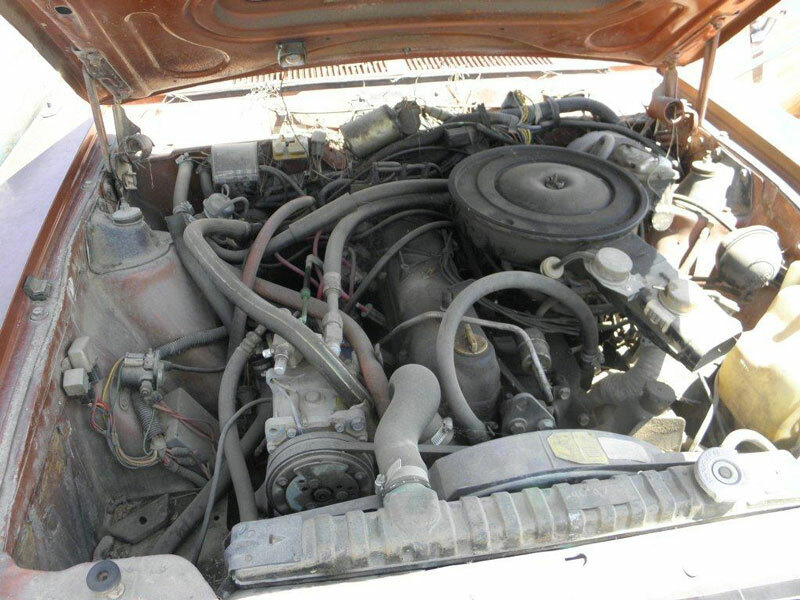 The 258 CID 4.2 L OHV inline six cylinder motor is all there. The car has air conditioning. The 3 speed TorqueFlite automatic transmission has been rebuilt and is in the back of the car. The car was running and driving before the transmission failed and then was rebuilt. 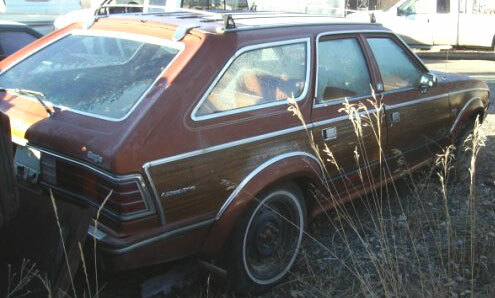 Here is your chance to own a 84 Eagle 4X4 station wagon.